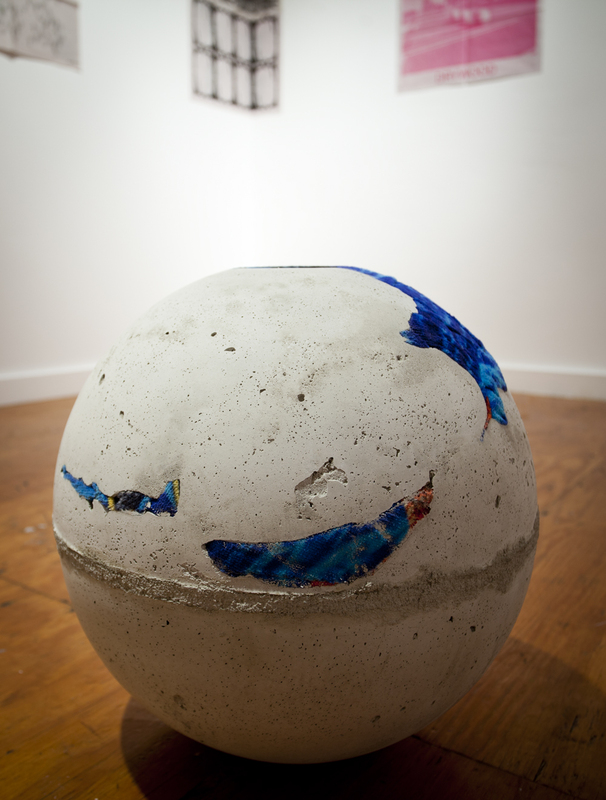 Alejandra von Hartz Gallery is pleased to present “Drywood,” a solo exhibition of collaborative works by Gean Moreno and Ernesto Oroza. 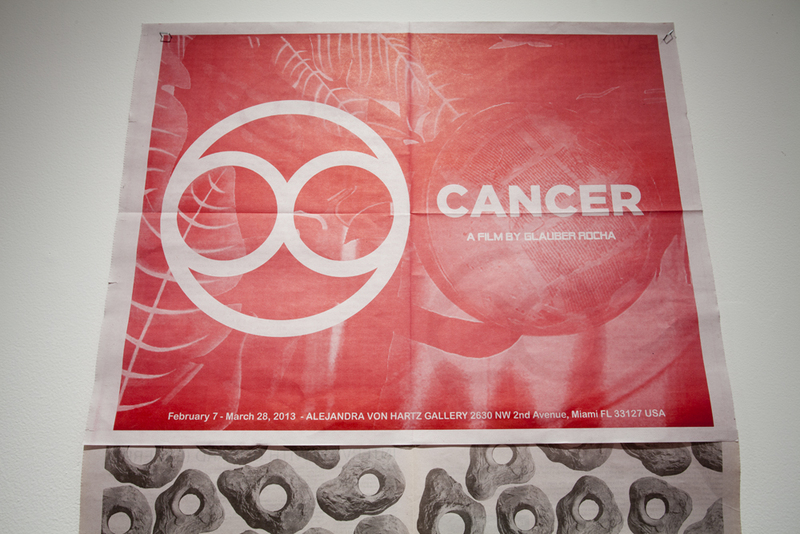 The show runs from February 7 to March 28, 2013. 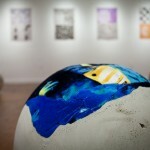 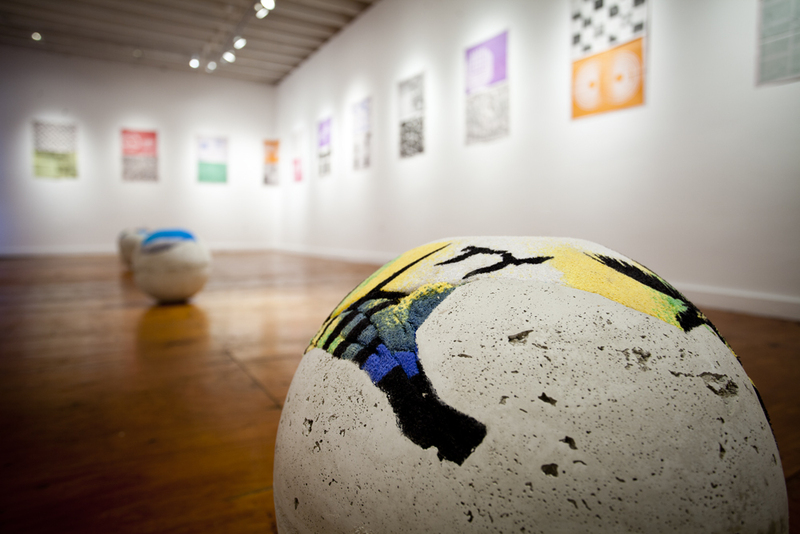 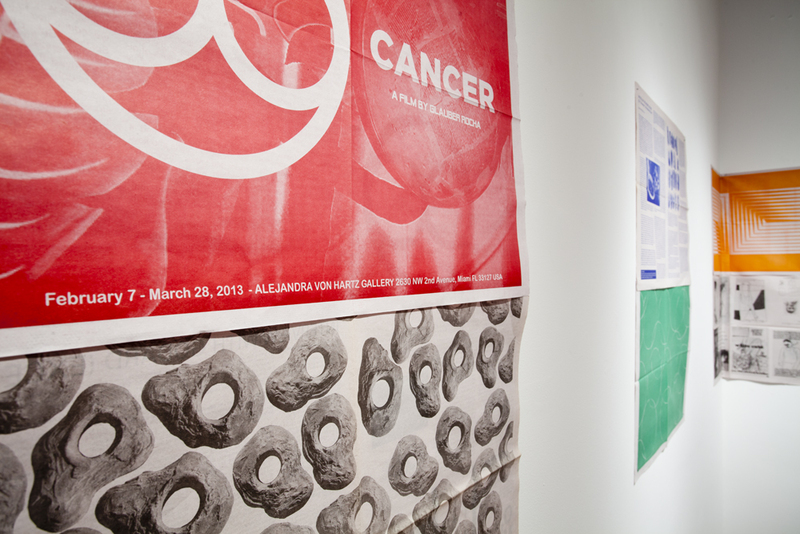 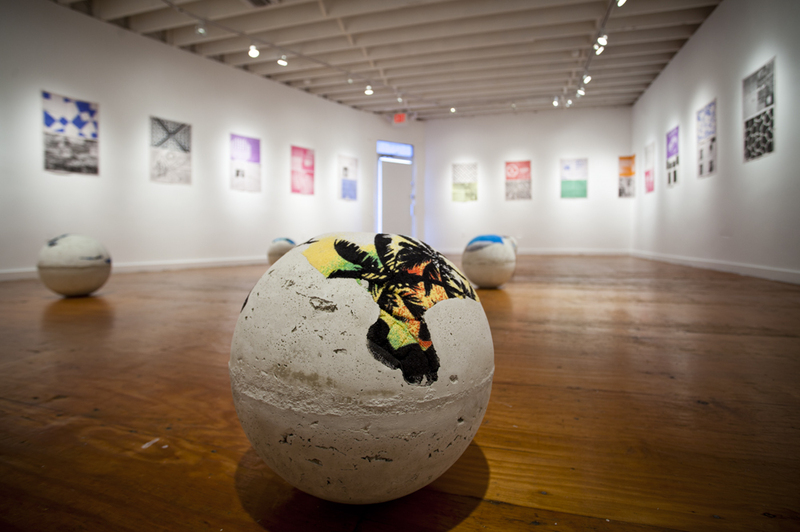 An opening reception will take place on Thursday, February 7th, from 7 to 10pm. 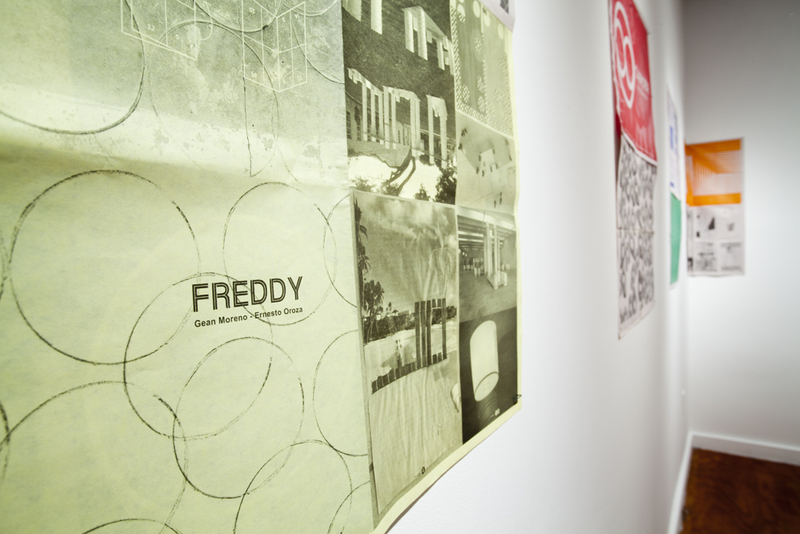 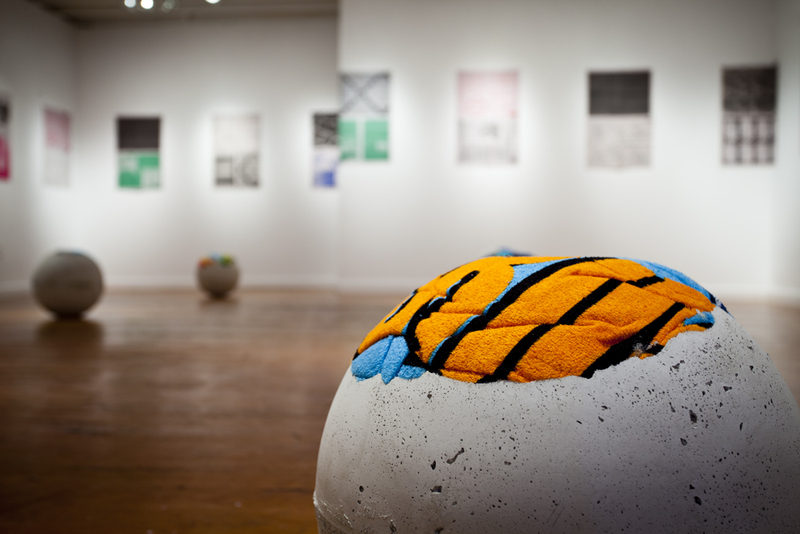 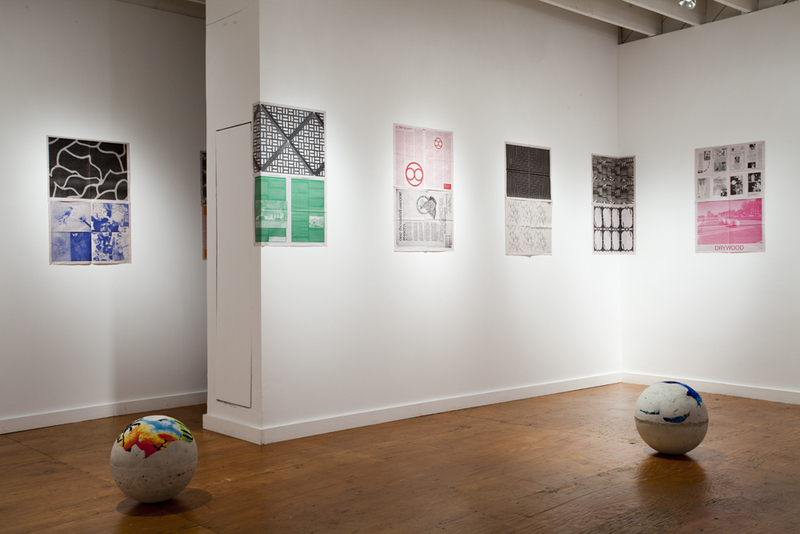 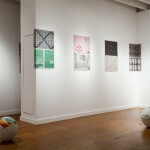 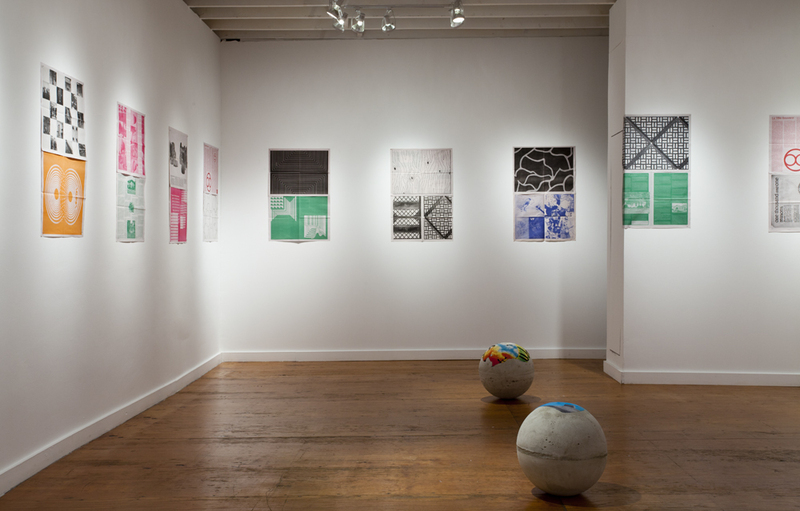 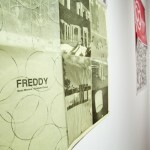 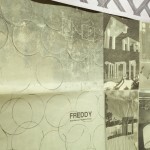 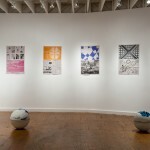 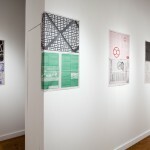 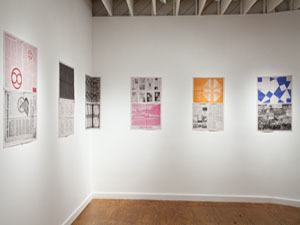 As they have done in their previous research-driven projects, Moreno and Oroza begin by zeroing in on contemporary variations of an object typology — in this case, they began with the souvenir — in an effort to understand how it functions in relation to forces of contemporary production, the generation of urban morphology and identity, and the changing terrain of user engagement. 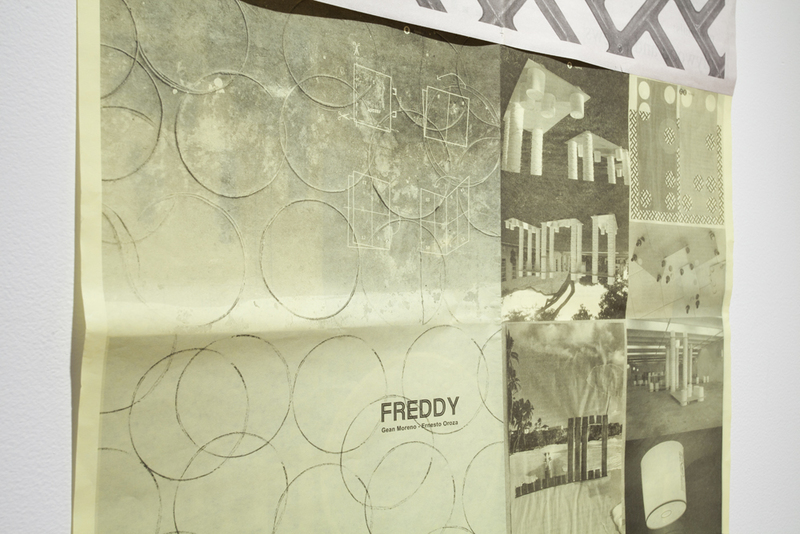 With this new project, they seek to understand how generic production, embodied in the souvenir, stands as both the ultimate horizon of rationalization in object design and a generative force that increasingly determines our urban environments. 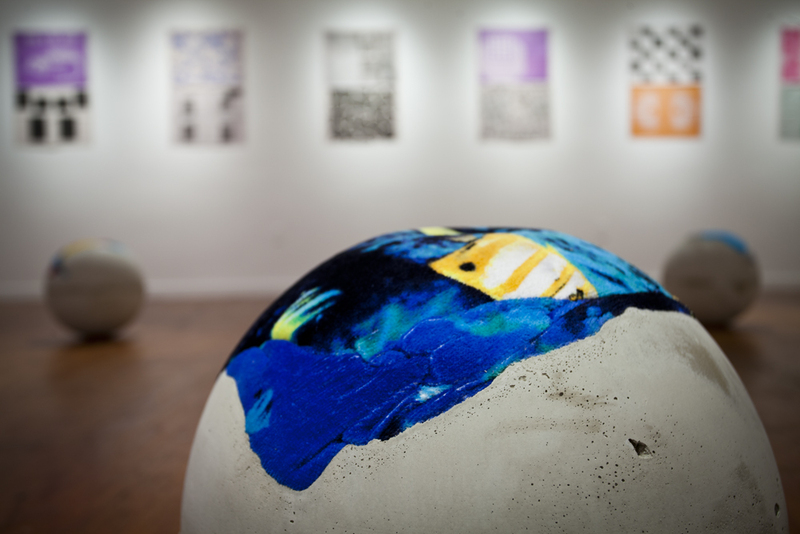 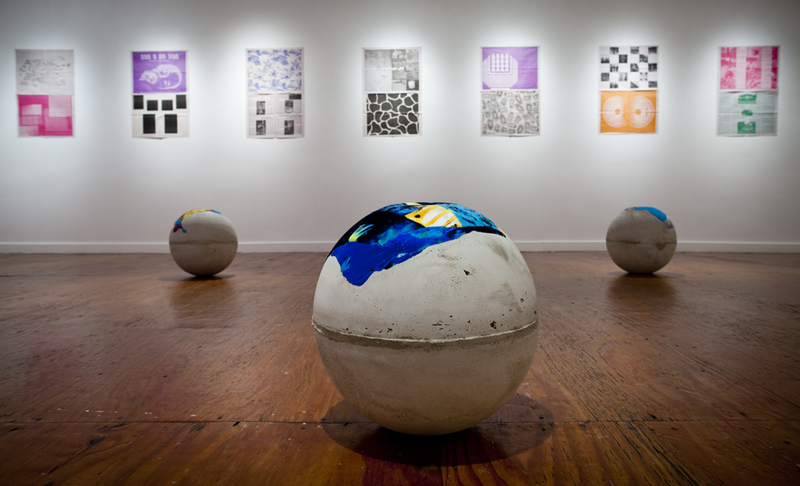 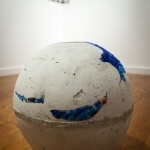 At Alejandra von Hartz Gallery, Moreno and Oroza will present a series of concrete spheres which, during the casting process, swallowed souvenir objects. 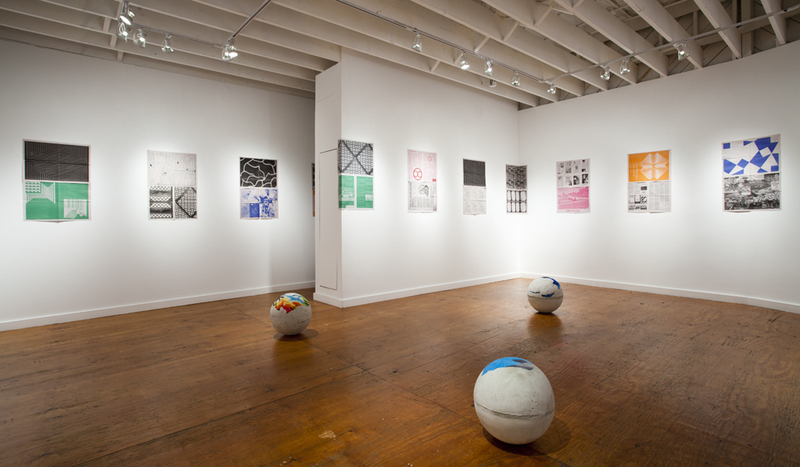 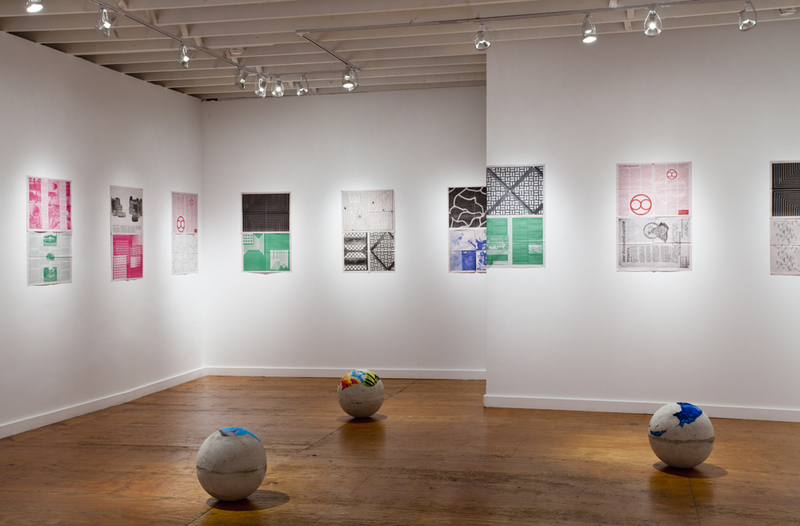 These are an effort to mesh two objects that are distributed throughout the city: the generic spheres that serve as obstacles and place-markers and artifacts that serve to develop identity narratives for the city. 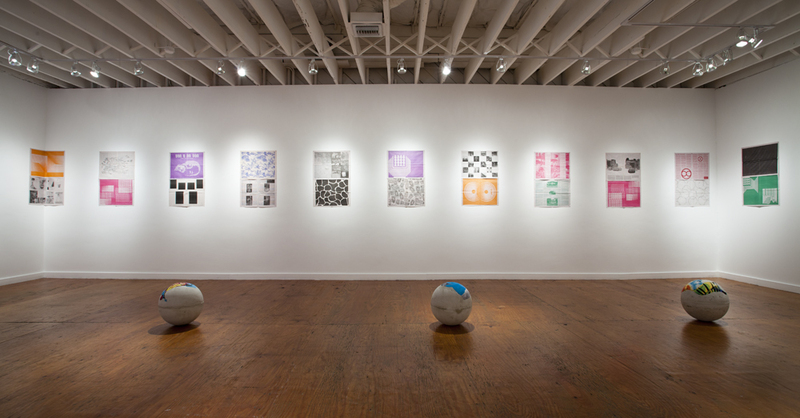 The layout of the spheres and the quantity employed has been determined by the wooden sheets (modules) that make up the gallery’s floor. 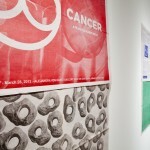 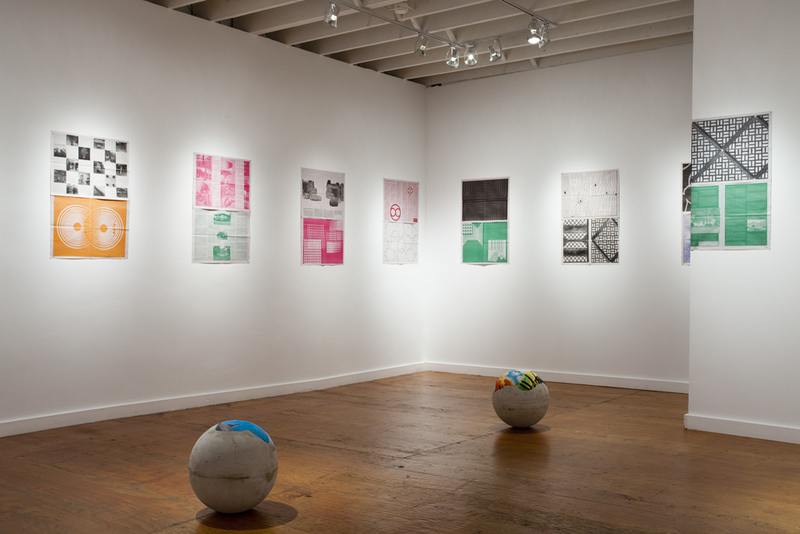 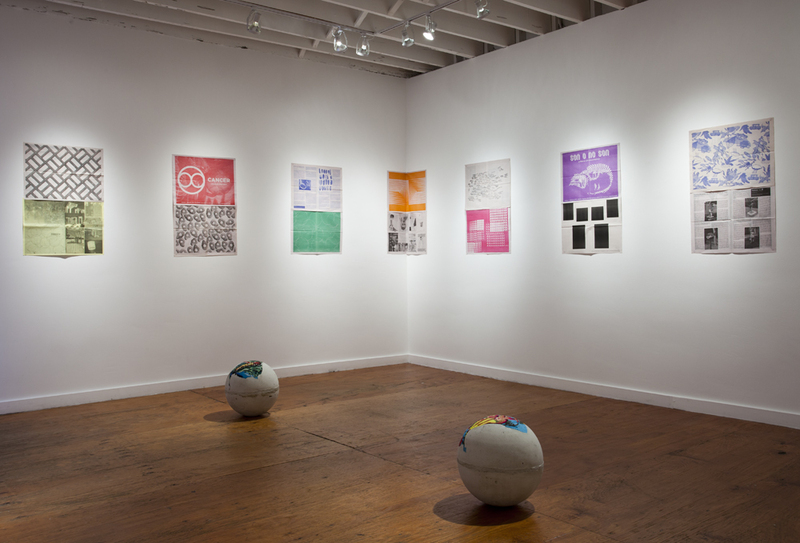 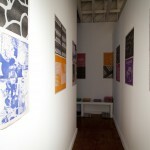 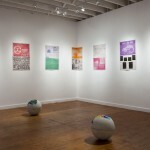 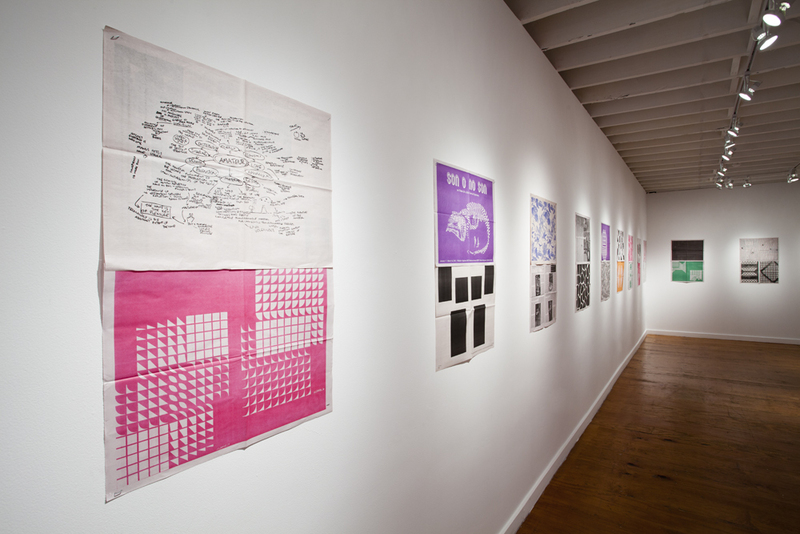 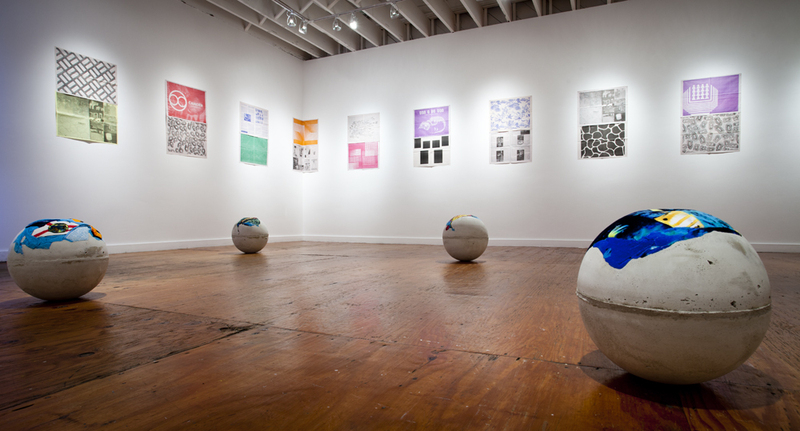 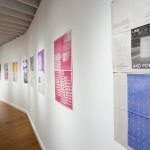 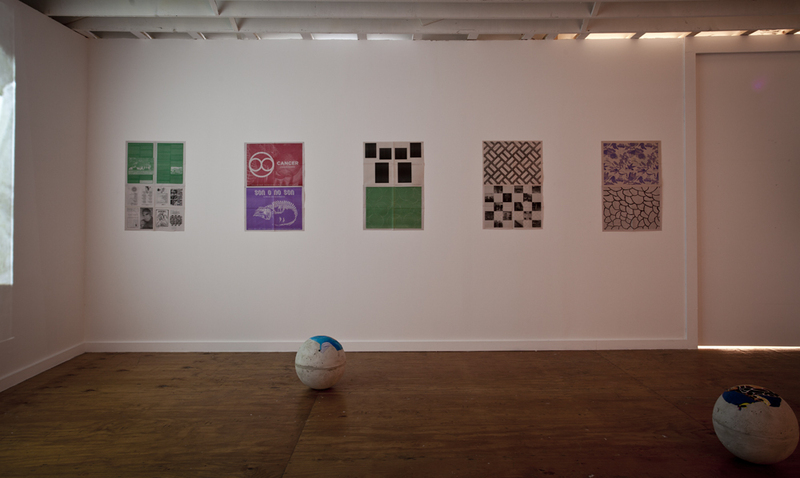 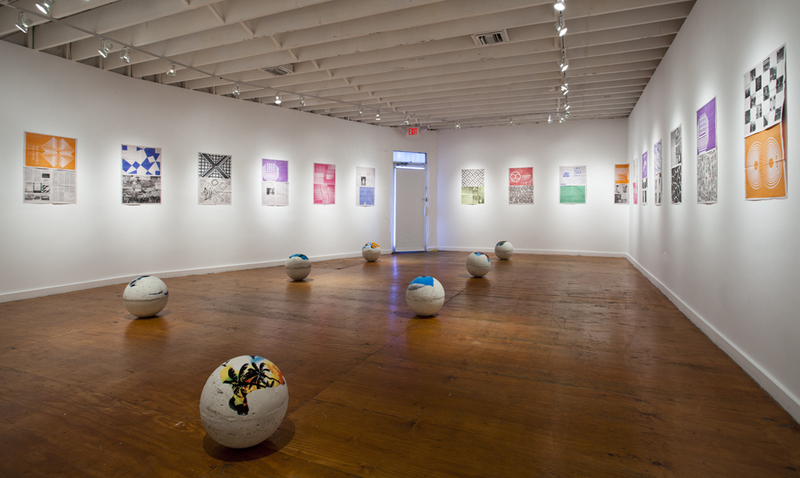 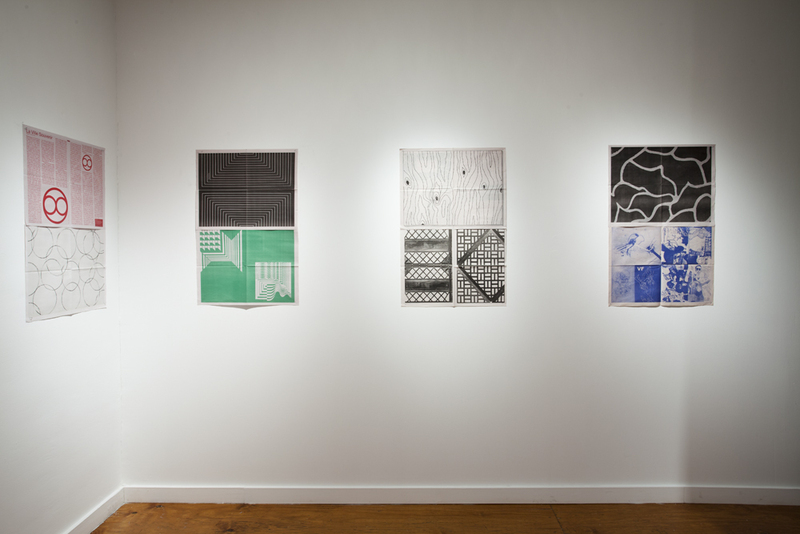 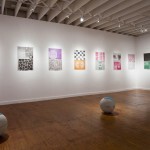 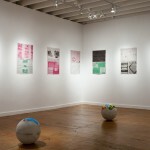 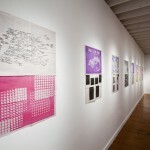 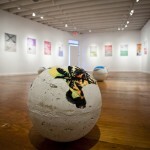 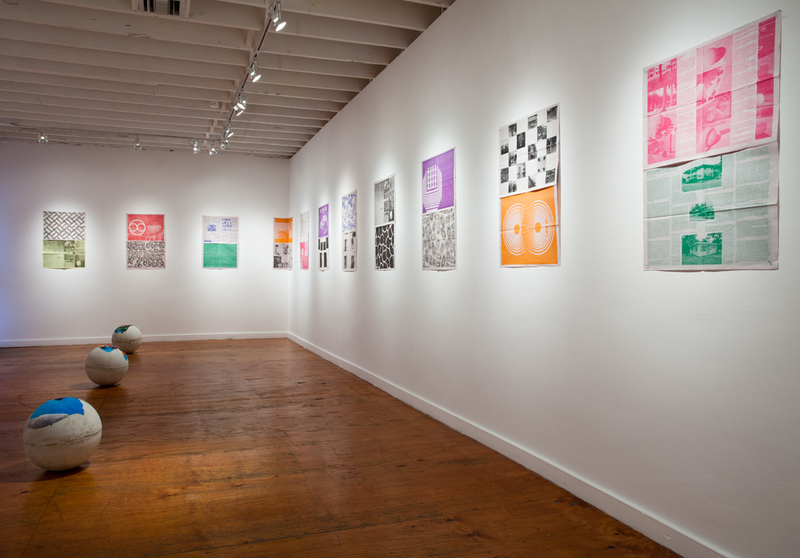 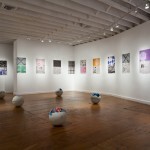 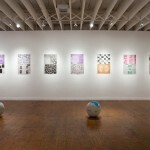 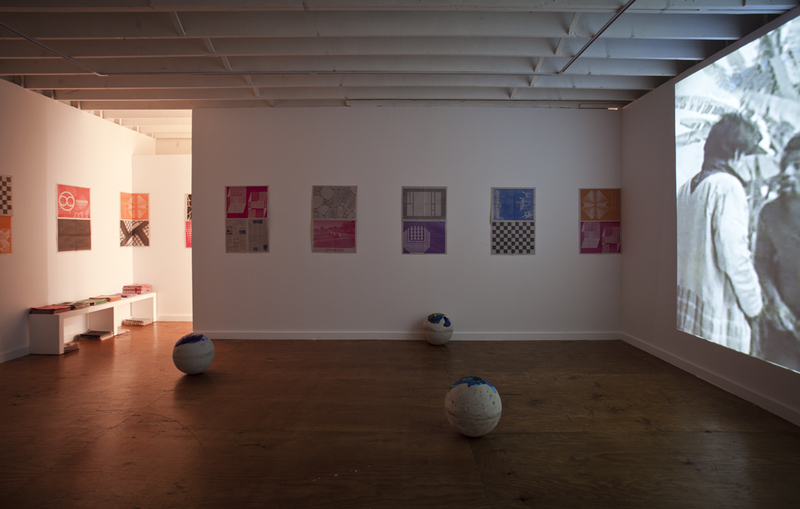 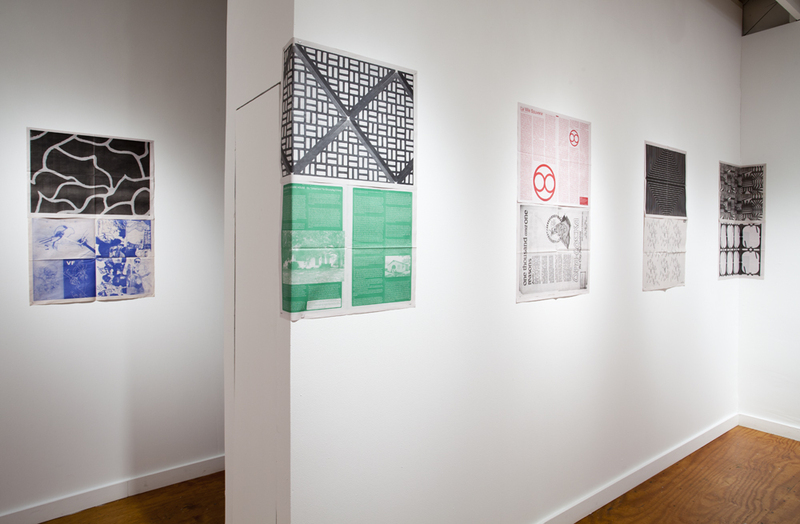 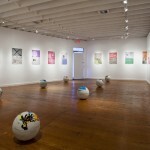 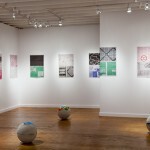 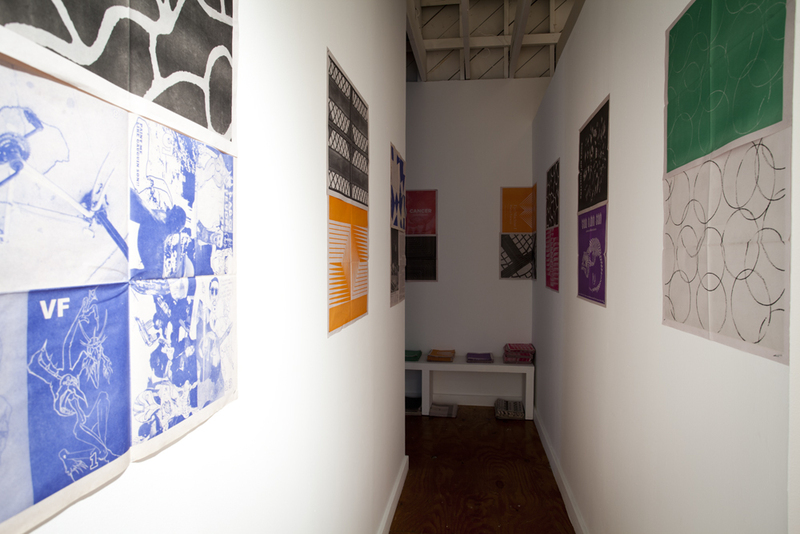 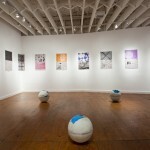 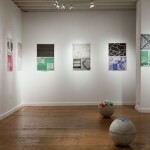 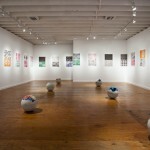 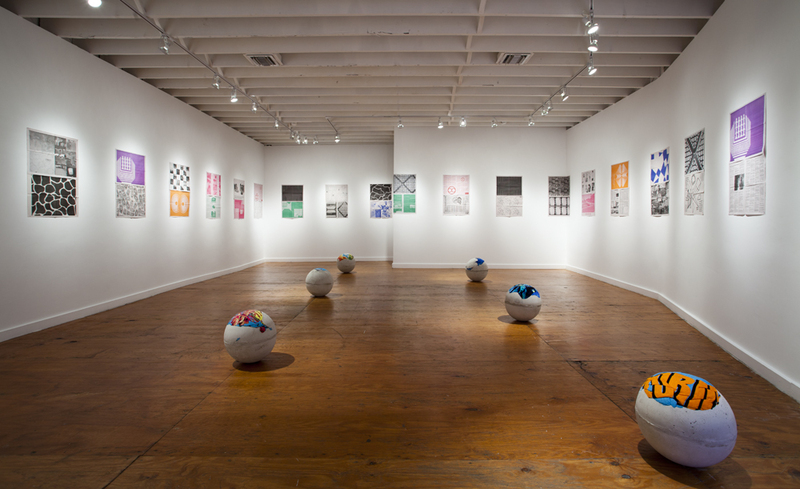 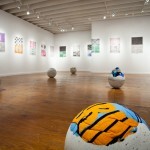 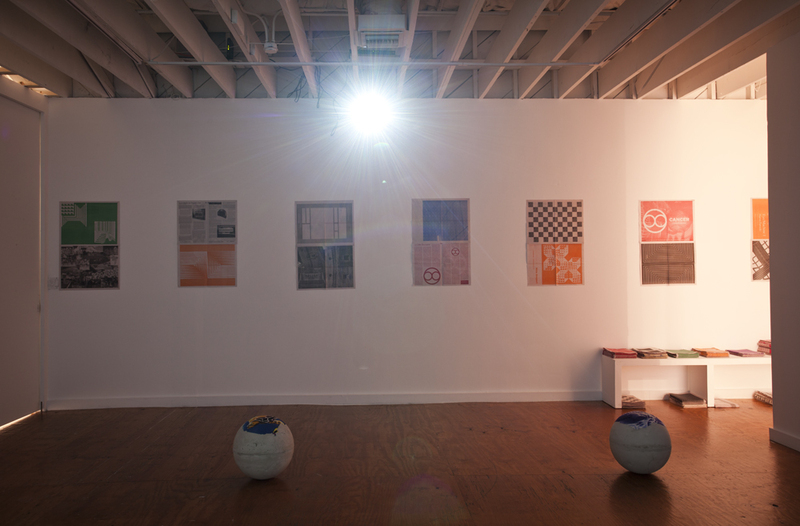 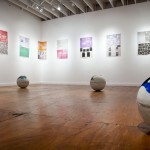 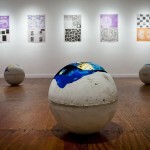 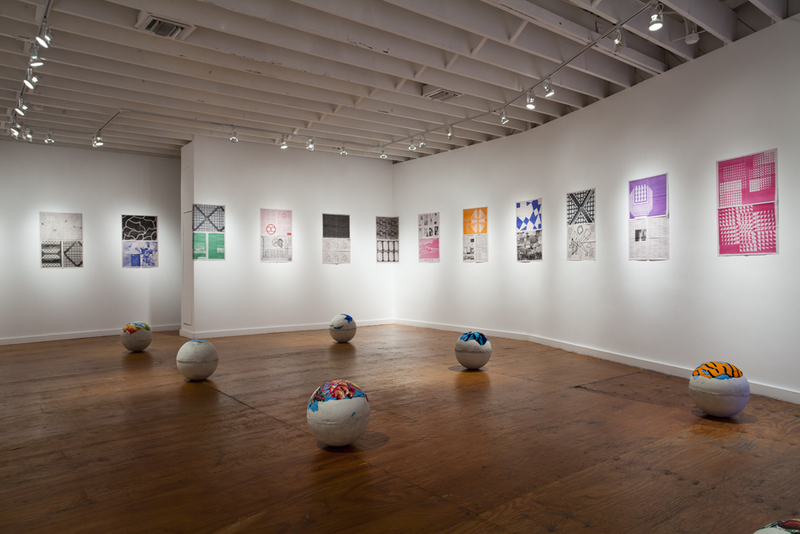 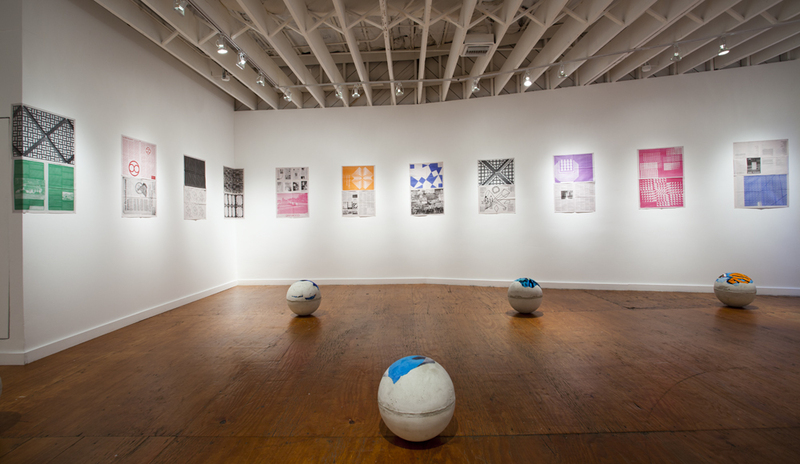 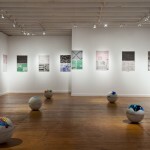 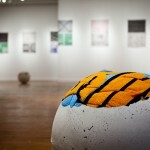 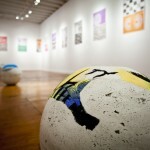 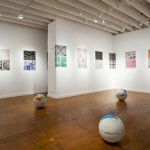 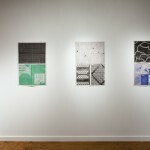 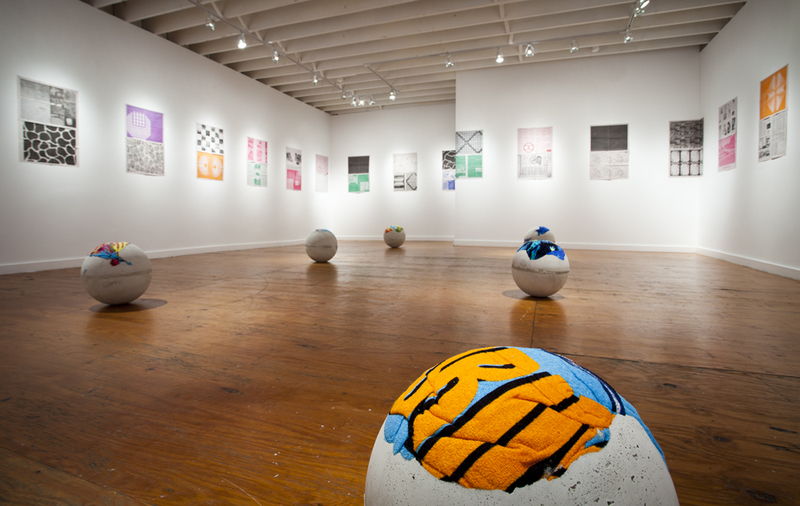 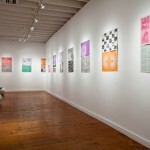 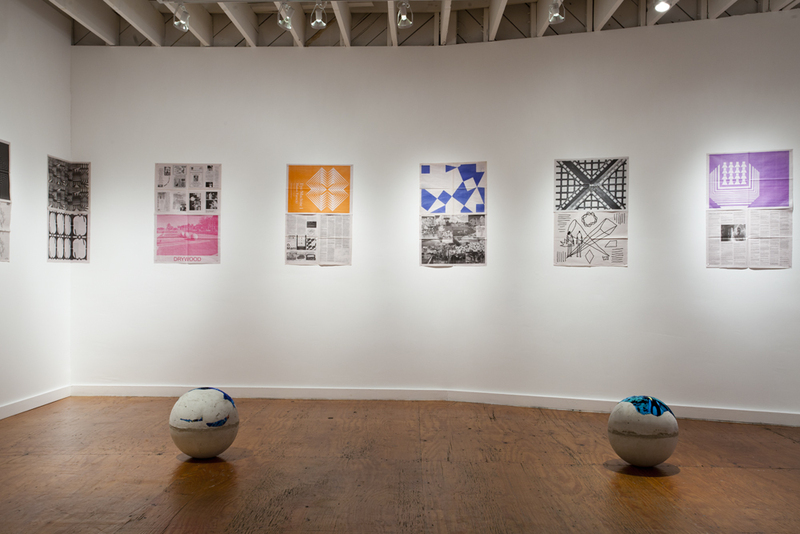 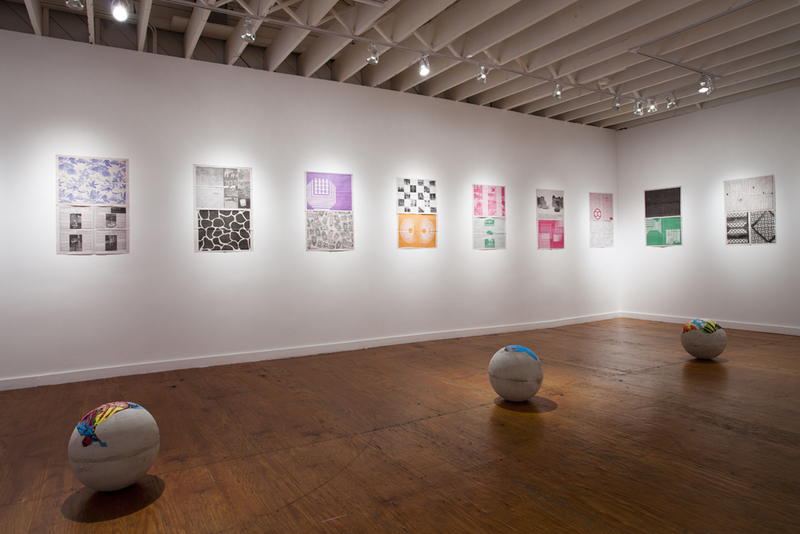 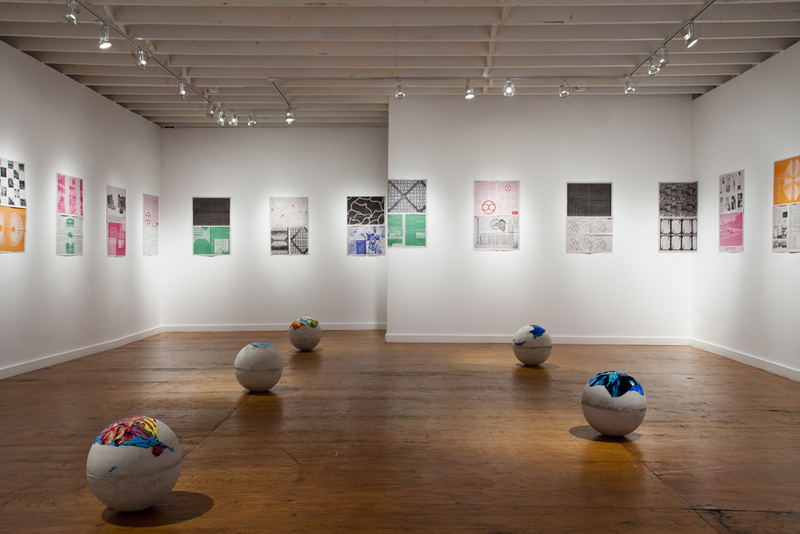 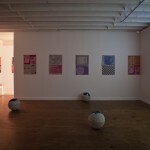 Along with the spheres, Moreno and Oroza will present a series of compositions, assembled by others, that employ pages from the Tabloid (www.thetabloid.org) that they have been producing over the last four years. 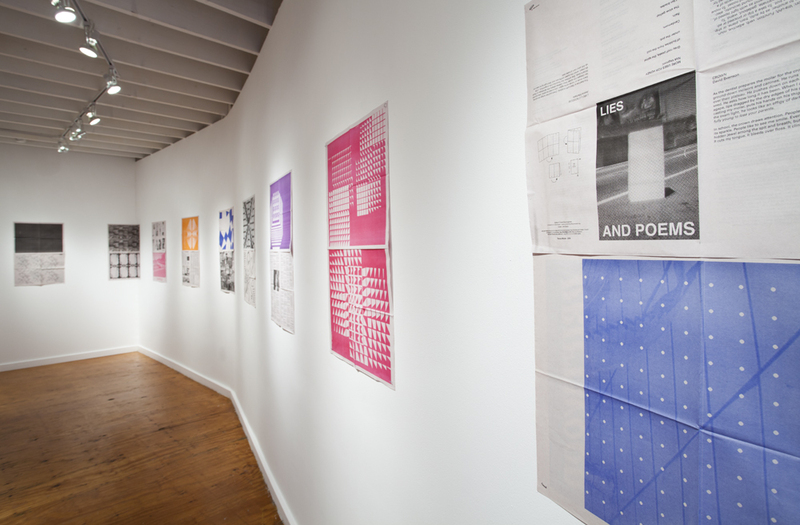 The display of these compositions will be determined by the metric constraints of the standard tabloid. 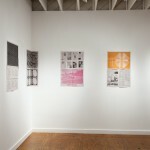 The Tabloid has served as a repository for their research and texts, a documentary vehicle, and a space to enlarge the discursive space of their practice and the exhibitions in which they participate. 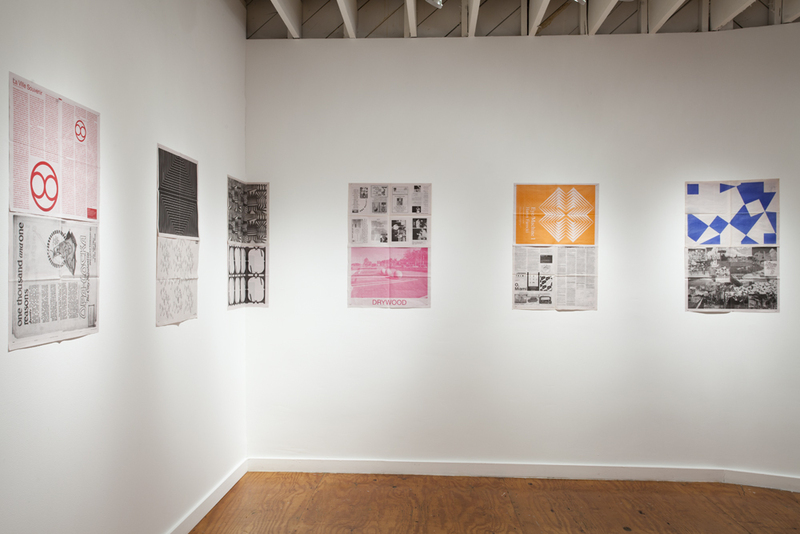 Hans Ulrich Obrist, Joe Scanlan, Yona Friedman, Hito Steyerl, and Peter Lang, among a number of other theorists and cultural producers, have contributed to the Tabloid. 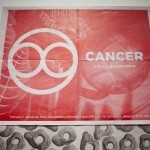 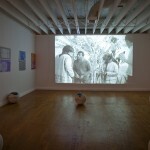 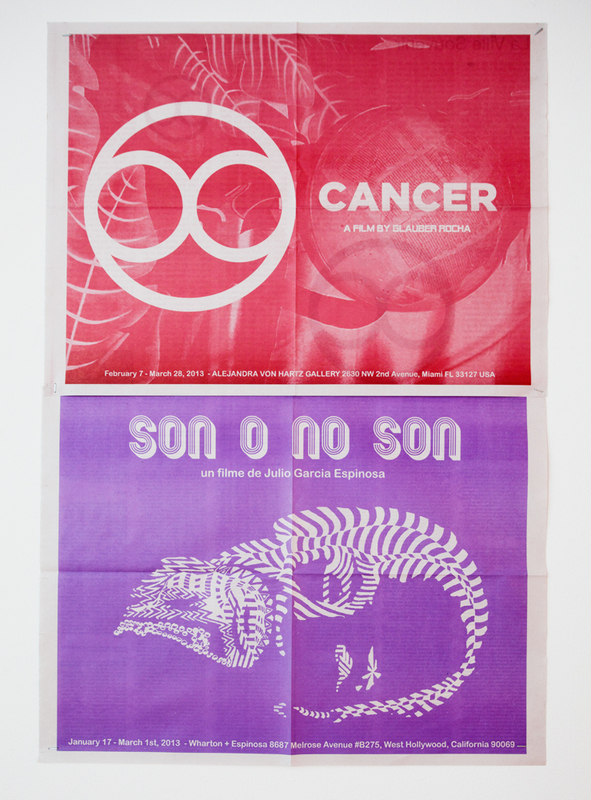 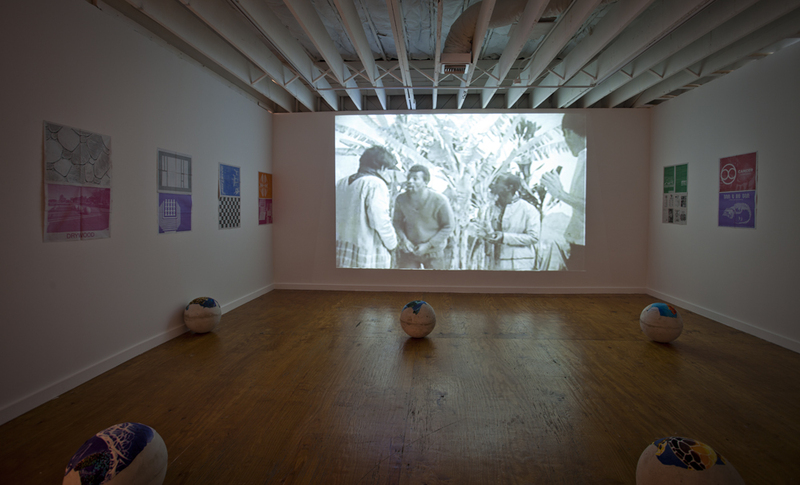 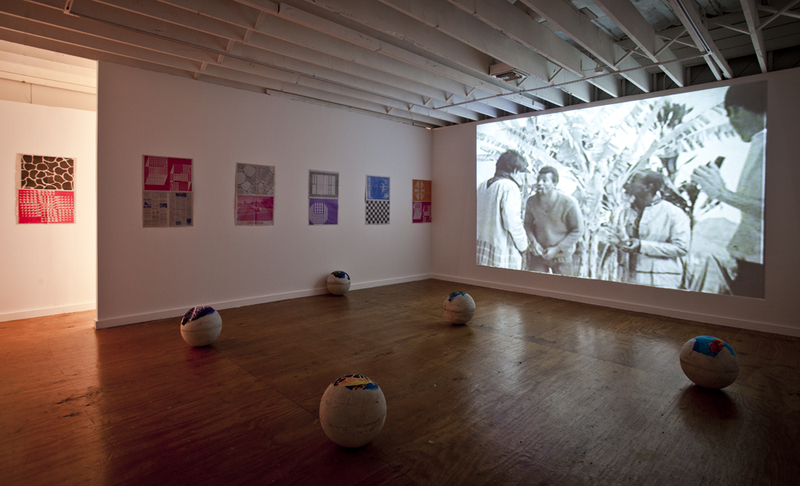 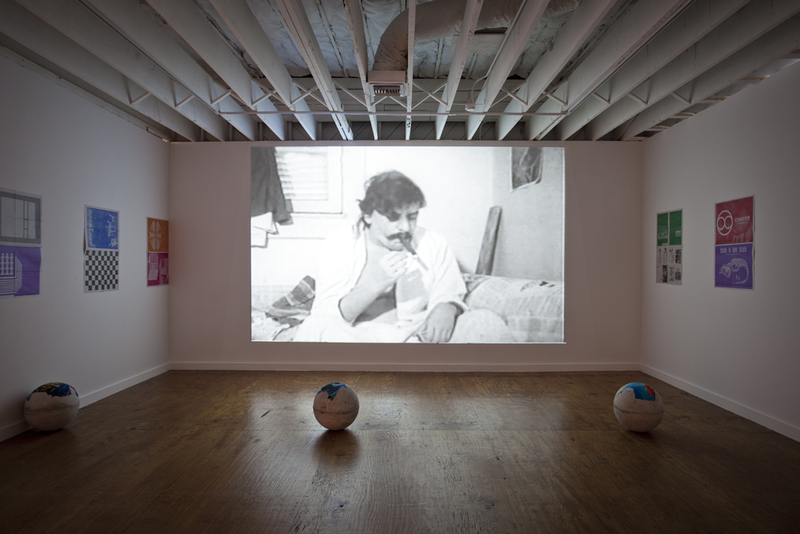 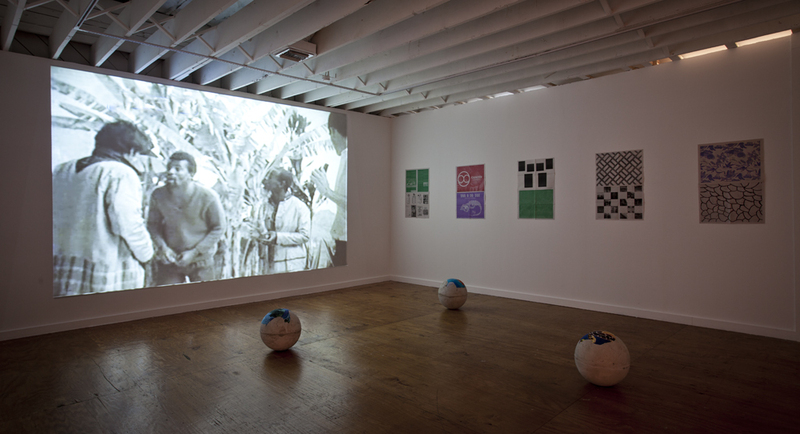 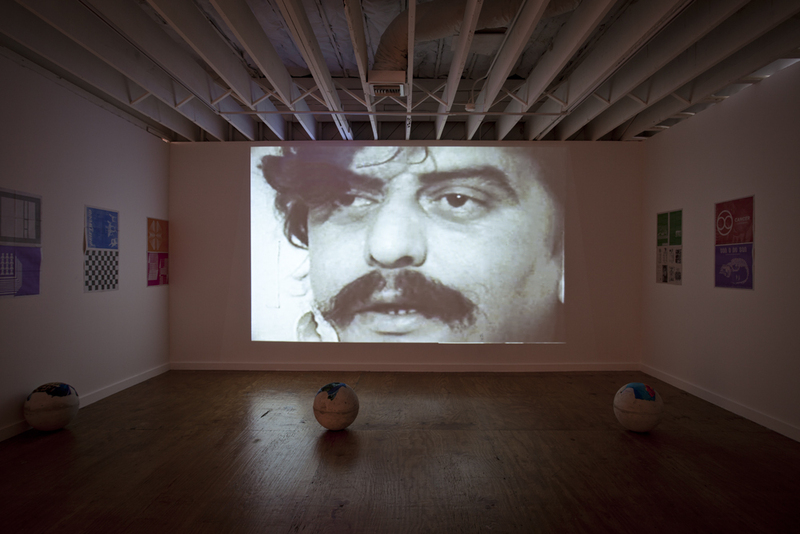 Moreno and Oroza will also present a bootleg copy of Glauber Rocha’s film Cancer and zines filled with pirated essays by Argentinean designer-painter-theorist Tomas Maldonado and Brazilian filmmaker Glauber Rocha.